I was right about twenty when I started having the first signs of AS. The pain mainly affected my hips. My wife at the time prompted me to go to a chiropractor, which I now really regret. In the course of several years I went to about six chiropractors, none of them providing any answers or relief. The pain got much worse, to the point where I could barely function. I remember days where the only relief I could find was laying on a hard floor, although when it was time to get up I’d have to scoot to a piece of furniture to help me. I had several late night ER visits because the pain was more than I could bear. I would usually be given a combination of Vicodin and Valium, which wouldn’t do much to the pain but would get me “high” enough I didn’t quite care about it. Unfortunately, with no real diagnosis, my now ex-wife wasn’t very supportive and often accused me of “playing up” the pain in order to get sympathy. I did start to exercise a bit and discovered that provided some relief to the pain, although it baffled me as to why it would. I was leading a fairly normal life, except for flare ups a couple times a year. In ’04 I went through a divorce and joined the Navy as an equipment operator with the seabees. Training was pretty tough and I almost didn’t make it through boot camp because of problems the doctors couldn’t narrow down. I’m not sure how much of it was AS related, or if it was just because I was an old 29 year old mixed in with a bunch of 19 year old kids. After training I moved to Everett Washington and shortly therafter the pain came back to an unbearable level. After boot camp I had gone to secondary training in Missouri. We ran 5-6 miles 3 times a week, which I’m sure triggered the pain I was experiencing. I went to an on base doctor who did some testing and told me I had something with a pretty funny name. 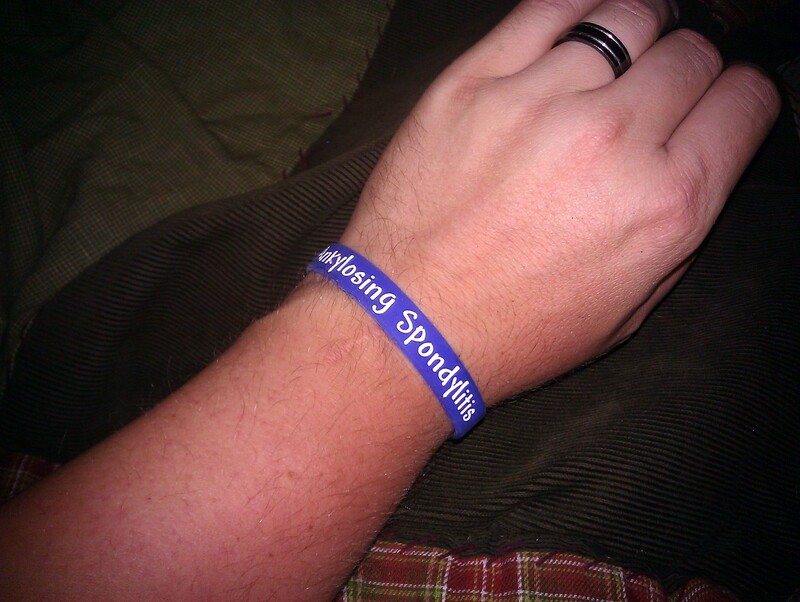 That was in ’05, almost 10 years after I begun the fight, I found out I had Ankylosing Spondylitis. I was referred to a Rheumy who started me on a treatment program and suggested I get a discharge from the Navy. During this period in my life I also became engaged to a wonderful woman who has been a huge source of support in this journey. I am fortunate that things remain fairly well under control with a mild dose of Relafin (Nabumetone). I do have my bad days as far as pain goes, but I still enjoy outdoor sports like skiing and fishing. I’m stiff in the morning, until I get up and moving around. By the afternoon I’m so tired I usually need a nap. I consider myself lucky through all this though, and really feel blessed to be where I’m at now. 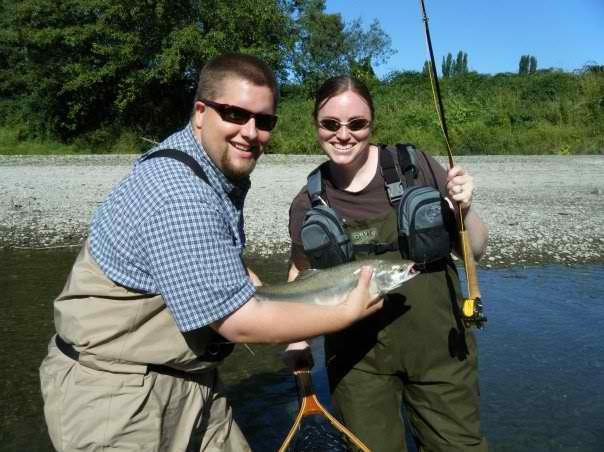 This picture was taken of me helping my wife with her first salmon. Thank you so much for sharing your story with us. Thank you for choosing us to open up with. i know it was a hard journey but in the course of this journey you found your soul mate.i am happy you found her because this journey is a rough one and having a supportive loving spouce is very important.she will be able to help you thru those bad days.i know because my husband is there when i need him.